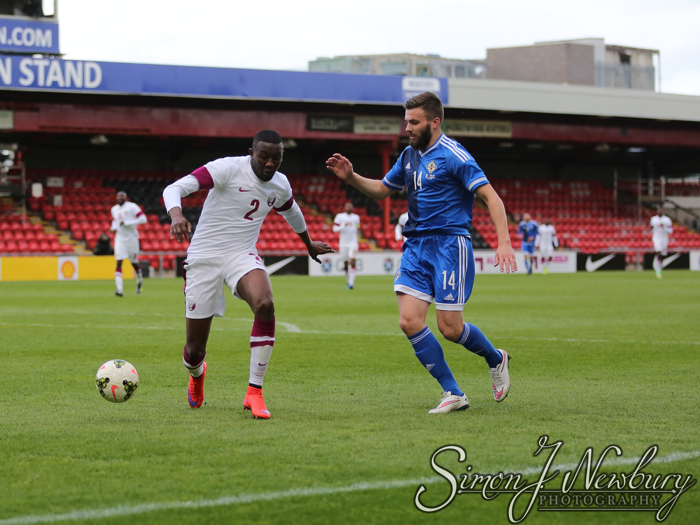 2022 World Cup hosts Qatar recently played an International Friendly fixture against Northern Ireland at Crewe’s Alexandra Stadium. 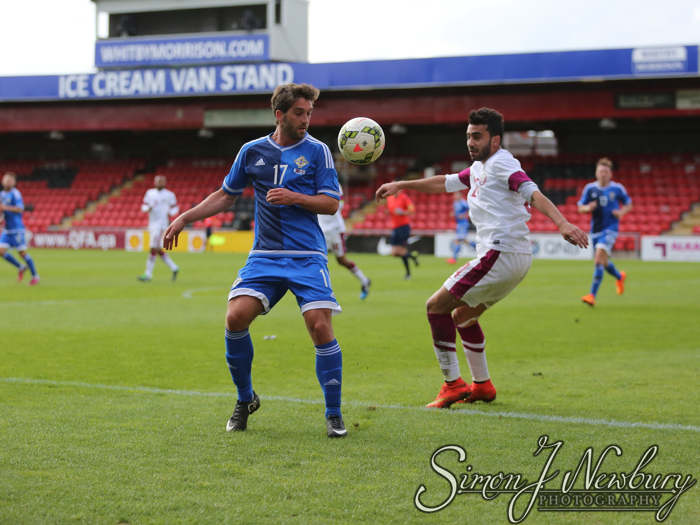 Simon photographed the match for the press. 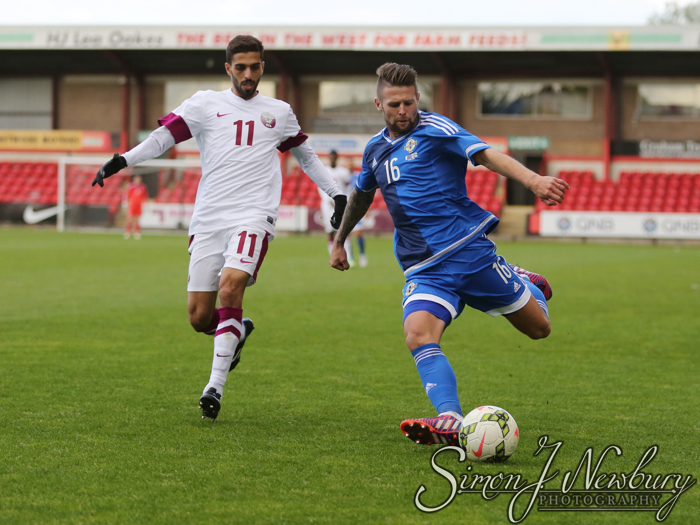 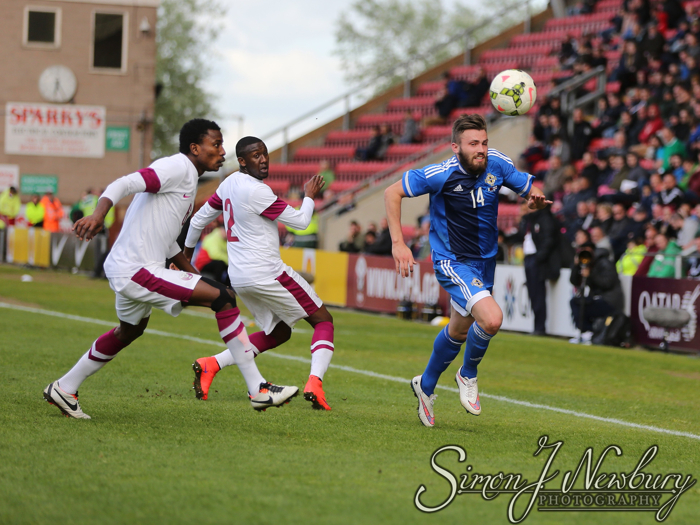 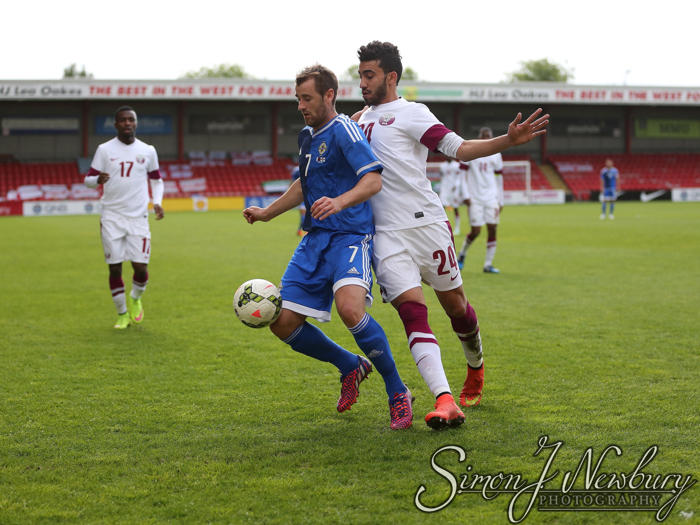 The encounter finished 1-1 with goals from Northern Ireland’s Brentford winger Stuart Dallas and Qatar’s Karim Boudiaf. 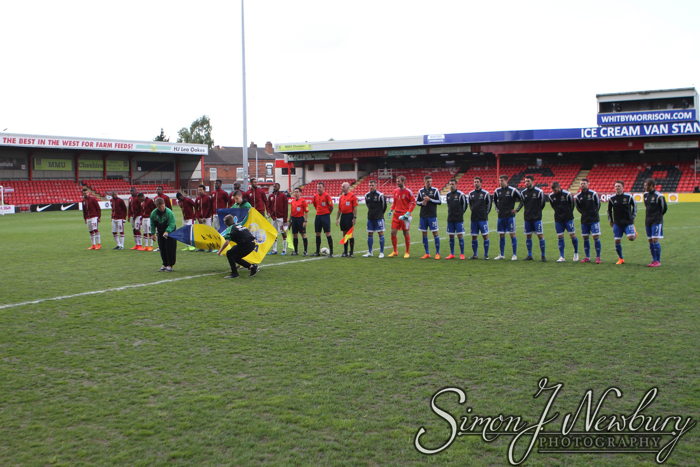 A healthy crowd of over 3000 watched the encounter. 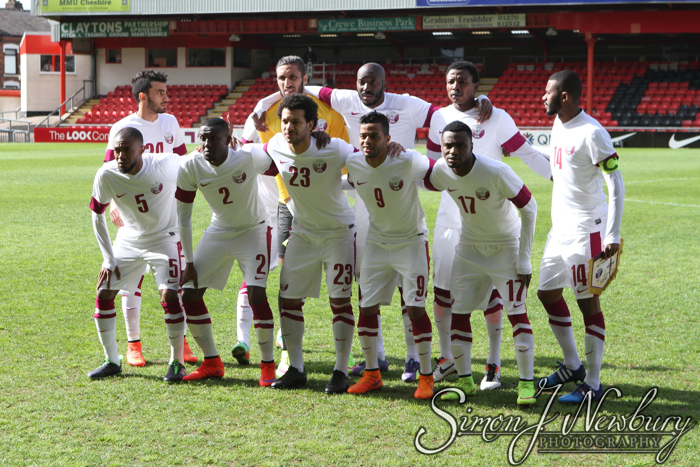 Qatar: Lecomte, Traore, Kasola, Ismail, Musa, Yasser, Hatem, El Sayed, Siddiq, Mohammad, Muntari. 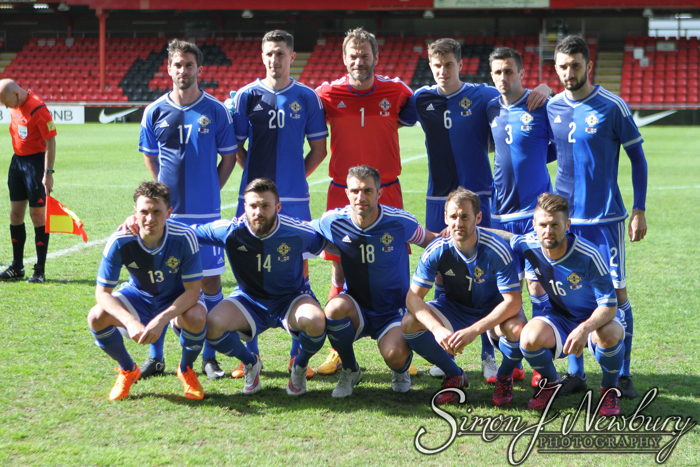 Northern Ireland: Carroll, McLaughlin, Hughes, McNair, Danny Lafferty, Cathcart, Corry Evans, McGinn, Norwood, Dallas, Grigg.